Hotel complex Pidhiria has its own billiard room. You can have fun here with your friends, while playing “Russian billiards”. Comfortable atmosphere allows visitors to feel real exclusive rest. Our billiard room has 2 quality tables 8 and 11 feet, leather sofas and chairs, and also pleasant music. An exciting game of «Russian billiards» attracts everyone. But today it is not only a luxury club, it is also a popular sport. In addition, many creative people, famous directors, actors, artists can not abandon their passion for billiards. 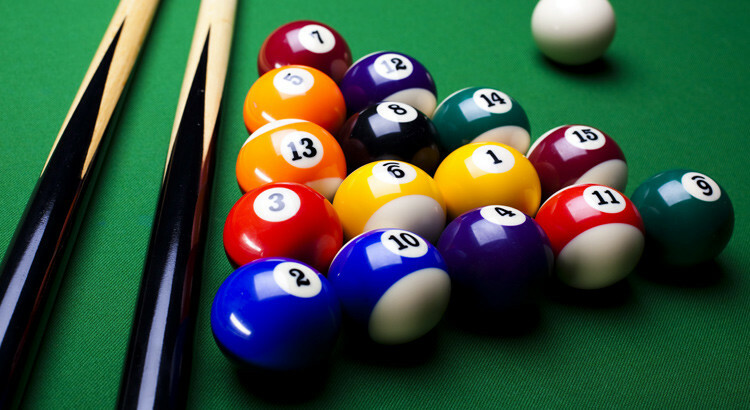 » Russian billiards » – is a symbiosis of exciting game, pleasure and benefit. Billiard room in the hotel complex Pidhiria is opened at any season until 22:00. Guests here can not only play sets of Russian billiards, but just spend a good time, while drinking a glass of wine, watching experienced players improve their skills mastery. A pleasant and comfortable atmosphere, quiet music and chatting with like-minded people, will allow you to relax and forget about all the problems and will give you positive emotions for the whole night and the next day.